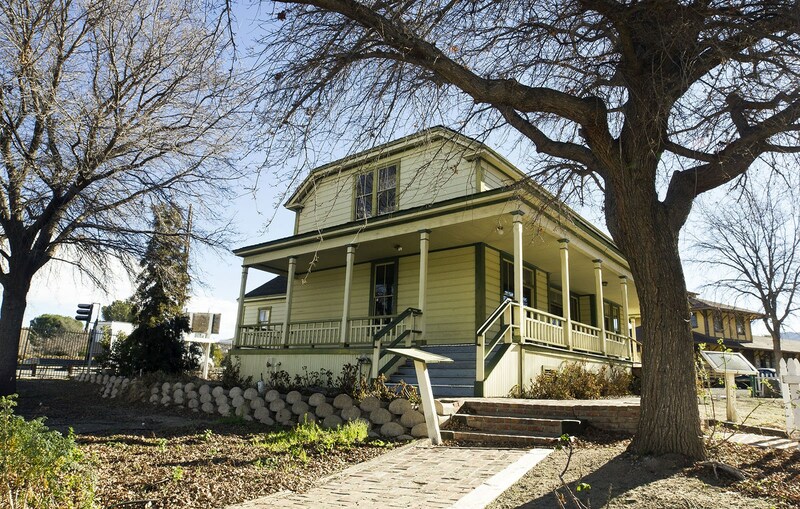 Newhall Ranch House at its original location in Valencia. Photo probably by Tom Mason on April 10, 1979. 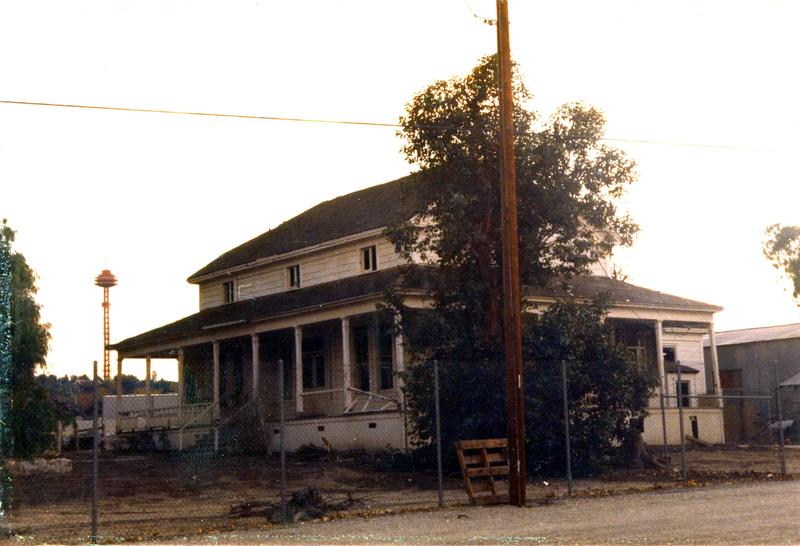 (He shot photos of the Newhall Ranch House on that date.) Magic Mountain Sky Tower visible in background at left.